3D printers are becoming more and more popular among the DIY crowd. The open source community has been playing a huge part in allowing people to purchase or build their own 3D printers at prices in the neighborhood of $1000, which is pretty good considering what they can do. This year 3D printers are even more popular and the prices are coming down, way down. 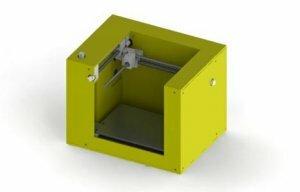 If you search online you can find a number of people that are looking for funding to help lower the manufacturing cost of open source 3D printers. Basically if enough people pledge $500 or more, they will each get a 3D printer kit, but if the funding goal is not met, you get your money back. $500 is a huge step down from $1000, but this latest crowd-funding project could get you a 3D printer for only $350. The $350 MakiBox A6 can be easily placed on a desk and has footprint that is about the size of a regular sheet of printer paper. The A6 is small, yet it can print out a 3D object that is 1/4 of its size, and unlike other open source 3D printers on the market, the A6 is completely self contained. The MakiBox is a product that requires funding to continue, and it could be a couple of months before you get your return on investment, but at only $350, it is pretty hard to resist. What is better than tools? Tools that can make other tools. MakiBox A6 final 3D model for the XYZ chassis and size comparison. 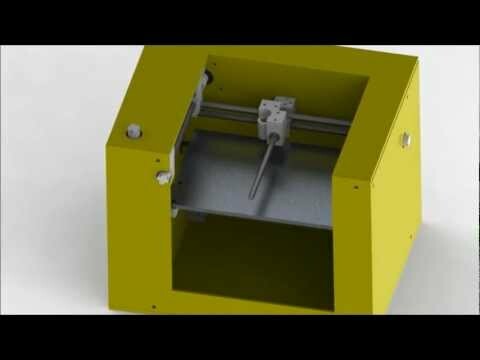 This is the first video to show how the MakiBox will work and starts to show how compact it is. Look for more updates this week.